When times are uncertain we often reach for things that bring us solace. It may be listening to jazz or opera, reading an old familiar book, looking at a beautiful painting, or watching a classic movie. I default to an old dog-eared book of Yeats poetry. Not out of any lofty academic leaning but because it reminds me of school and the youthful affection I have always held for Yeats. Dipping into it yields long forgotten poems and those more familiar, which still delight. I stumbled across his poem, “The Lake Isle of Innisfree” a few weeks ago. It stayed with me. It’s a beautiful poem: romantic and full of longing, he describes his desire to retreat to a small lake island in County Sligo, a place he knew well from his childhood. Being no stranger to homesickness, while wandering the streets of London, he heard a small fountain trickling in a shop. It instantly brought him back to the waves lapping on the shores of Lough Gill. Conjuring up powerful memories and longing, it inspired him to write the poem. It is full of elegant imagery: the moon reflecting off the lake; the purple hue of the heather in the midday sun; the sound of the crickets and the honey-bees and the gentle lapping of the water against the shore. It’s easy to imagine yourself there. The remaining two verses are gorgeous, but I particularly love the reference to building a cabin “of clay and wattles”. 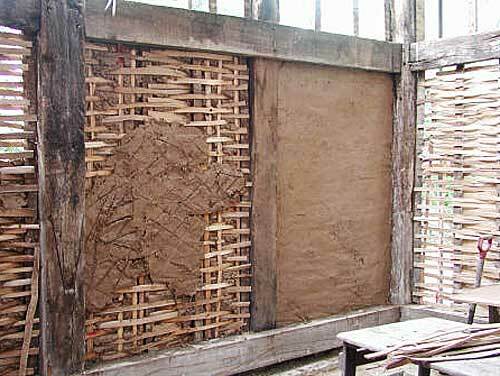 The ancient art of building with wattle and daub was widespread in many cultures including that of the Celts. The frames of the traditional roundhouses were made of woven saplings, daubed with a mixture of wet clay and perhaps straw. The description of “wattle and daub” struck a chord with me. I thought it was a beautiful metaphor for learning. It speaks to our ability to add layer upon layer to our knowledge, to fill in the cracks that may appear, but also to chip off unwanted or outdated beliefs. A re-daubing of the gap, perhaps, with new learning – founded, of course, in up to date neuroscience. I loved this piece – the poetry, the imagery and the metaphor are all wonderful. 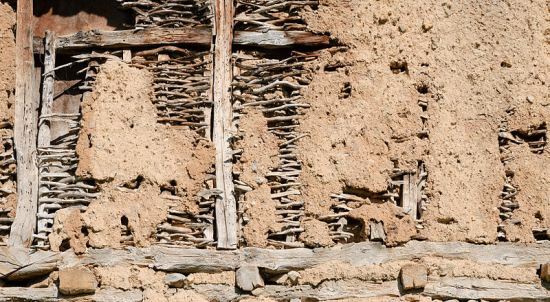 The analogy of learning as a wattle and daub construction lends itself to all kinds of ideas – the need to work hard to get rid of (chip off) outdated beliefs and also the tenacity of some of these accretions to hold on, well past their use-by date. Like poetry, your post and metaphor respond well to multiple reads and reflection. Thank you. Perhaps the skill is in knowing when to paper over the cracks and when to cast them off and start again! Maybe easier said than done. It certainly requires an ongoing reflection about ones beliefs and knowledge and sometimes courage, rather than a desperate attempt to cling on to outdated thinking, just because it fits into an old way of practising. Interestingly, your native Australian plant the ” Acacia” gained its name as a “Wattle” when early European settlers used its young branches to make the frame of their wattle and daub homes! I often wondered!! Hi Bridget, thank you for sharing your experience, and can I please acknowledge your very deep hurt and the difficult situation you find yourself in. Chronic, severe pain can be a devastating experience, but one which is all but invisible to others, making the suffering that much greater and harder to bear at times. I know this is easy for me to say, but there is no shame, no shame at all in experiencing pain, and it is not in any way a sign of weakness. Chronic pain can affect people across all ages, and all social groups, and the problems that we see in individuals, reflect problems in society at large in understanding pain – the stigma, the misunderstanding and the denial of pain that is so sadly widespread can all act to isolate people in need. But there is hope – we are getting better at understanding and treating pain, and one of the central messages of this blog is that pain can change – it can reduce, and with this life can begin to resume. I can’t offer specific advice, it would be unethical and inappropriate for me to do so, but I would encourage you to seek out help from those that understand pain – Physicians, Physical Therapists, Psychologists, other health professionals, as well as perhaps others who have experienced chronic pain and recovered. Look for local pain associations or organisations that could help too. We also know that learning about pain helps you hurt less – Explain Pain and The Explain Pain Handbook: Protectometer have helped thousands, but there are many other resources out there too.